What is life without chocolate? Why should anyone have to find out? Yes, I admit -- I've been daydreaming. How I do love chocolate. And just a few months ago, I discovered the most amazing chocolate at Artisan Confections. All you need to do is take the Metro to Clarendon Station and walk a few blocks and you'll be in chocolate heaven. 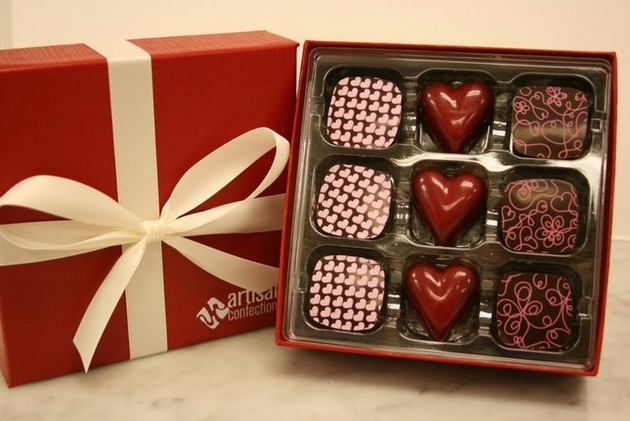 See, Artisan Confections is not like any ordinary chocolate shop. 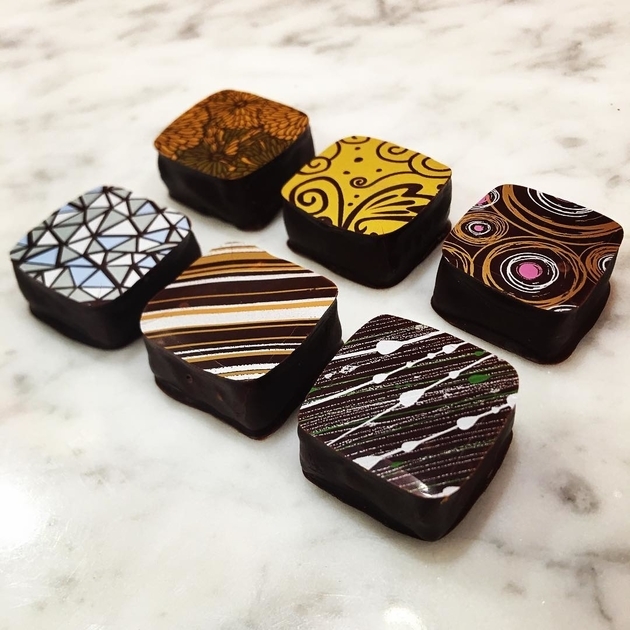 Each piece of chocolate is specially handmade with quality ingredients -- real cream, premium Valrhona chocolate, and locally and organically sourced products. Everything's so fresh that the chocolates even have a shelf life (trust me, you can tell the difference). If that's not enough, the intricate design and unique flavor of each bite-sized piece might do the trick. The available flavors are all over the map -- from Bailey's Irish cream to Earl Gray Tea. 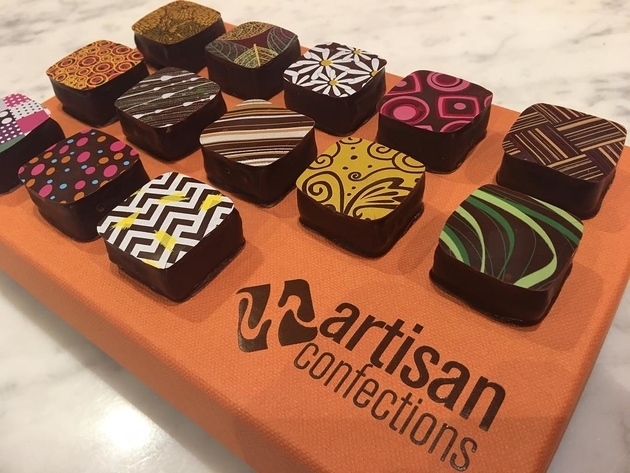 Artisan Confections opened in Arlington in 2006 and then expanded to a second location in Fairfax within the last couple of years. For Valentine's Day, they're offering three different packaged chocolate collections, or you can go rogue and choose one of their non-traditional chocolate products. Whatever you do, you can't go wrong. Trust me -- the memory of this delectable chocolate experience will last well past Thanksgiving! Get to know this Arlington gem, leave a comment below about your experience, and then let us know which part of Arlington we should explore next! What's Virginia's favorite Valentine's Day candy? FInd out here!